What is cloud seeding and can it end Delhi's pollution? Cloud seeding or weather modification is an artificial way to induce moisture in the clouds so as to cause a rainfall. Delhi is considering using cloud seeding to fight the smog in the capital. 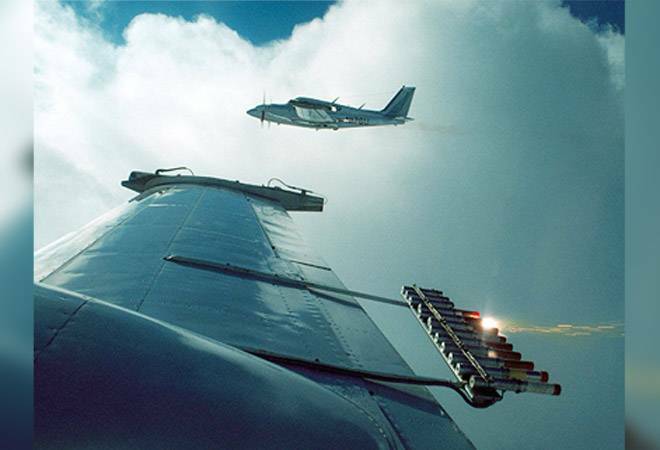 Cloud seeding involves changing the amount and type of precipitation that falls from clouds by dispersing substances (mostly salts) into the air. The technology has been used by more than 50 countries for different reasons. China has been using it to control polluting smog that envelopes Beijing. Authorities in Delhi are planning to use 'cloud seeding' technology in a bid to ease the deteriorating situation in the national capital. According to media reports, the effort has been commissioned by CPCB. ISRO, IIT Kanpur and Indian Meteorological Department. Cloud seeding or weather modification is an artificial way to induce moisture in the clouds so as to cause a rainfall. In this process, either silver iodide or dry ice is dumped onto the clouds by using an aircraft or an artillery gun which leads to a rain shower. After some research, hygroscopic materials like table salt are being increasingly used. Water managers are also seeing cloud seeding as one way of increasing winter snowfall. At least 56 countries have used some sort of cloud seeding, according to the World Meteorological Organization. These efforts range from the United Arab Emirates trying to meet an increasing demand for water, to China using cloud seeding in an effort to fight pollution before the 2008 Summer Olympics opening ceremony. In United States, cloud seeding is occasionally used by ski resorts to induce snowfall. China frequently uses weather modification system to create rainfall during droughts. China is set on seeding more clouds as it grapples with the problem of pollution and inadequate rainfall. Australia, France, Spain and the US have all tried and tested this methodology. In the United Arab Emirates, the technique has created 52 storms in the Abu Dhabi desert. China boasts of having used the technology in reverse to keep the Beijing Olympic Games of 2008 dry and keeping the sky blue for the big event. But some moisture in the atmosphere is needed to cause precipitation. Environmentalists have raised concerns as they consider it hazardous when chemicals are used to cause precipitation. Can it work in Delhi? The idea has been in the pipeline for quite some time now. In 2016, Delhi CM Arvind Kejriwal had floated the idea of using artificial rains to cleanse the city's air. According to experts, Delhi's dry weather is not suitable for cloud-seeding. First, some clouds are needed to carry out the seeding process. Second, the humidity in the air is too less for it to succeed in Delhi. But considering the severity of air pollution and the threat it poses to more than 40 million people in Delhi-NCR, this method could be worth a try.